Government | What The Sooke? Borrowers must now qualify for a five-year fixed rate, even if they are applying for a variable rate mortgage. Variable rate mortgages are based on the prime rate, which is at a rock-bottom 2.25% currently, and is expected to rise over the next 12-18 months. By qualifying buyers at the higher 5-year fixed rate, it is hoped that a cushion will be created such that borrowers can still afford the payments when the prime rate increases, as it will inevitably do. Home owners who want to take out some equity from their homes when they refinance their mortgage will no longer be able to take out up to 95% of the lending value of their homes, only up to 90%. This is designed to prevent home owners from using their homes as an ATM and getting in over their heads if their property value declines. Probably not a bad idea, but it will prevent some home owners from paying off high-interest debt with low-interest mortgage funds. Overall, I’m happy about this one. Purchasers of non-owner-occupied real estate, ie, investment properties, will now need 20% down instead of 5%. The government says this is to prevent speculation by investors. I’m of two minds on this move. It will certainly put a squeeze on buyers of investment properties, which may in turn lead to fewer rental properties available and hence a corresponding rise in rents. The reader needs to bear in mind that the above rules are for CMHC-insured mortgages only. Private insurers like Genworth and AIG Guaranty may be more flexible. Mortgage insurance is mandated on all mortgage loans in excess of 80% loan to value ratio, which offers the lender protection should the borrower default. This way, lenders are able to offer borrowers lower rates because they do not have to compensate for the additional risk of a high-ratio mortgage. Also, most lenders qualify a buyer on a 3- or 4-year fixed rate already when applying for a variable rate mortgage, so this won’t be a huge change for most institutions. The new rules are set to come into force April 19th. I would expect a surge in activities in the market as buyers and investors try to get in under the deadline, even though most residential, owner-occupier borrowers won’t be too affected by the changes. All they will hear is “harder to get a mortgage” and they’ll rush out to get pre-qualified and then go shopping. The Spirit Squares Program is a $20-million effort by the government to improve or create outdoor meeting spaces and public celebreation areas and to encourage tourism and walkable neighbourhoods and communities. Specifically, the Sooke Spirit Square will be at Ed MacGregor Park, with a covered performance area, directional and interpretive signage, and public art. Plans for the enhanced event space include a water feature using onsite rainwater management techniques. The Provincial Government is putting up $237,500 for the project. 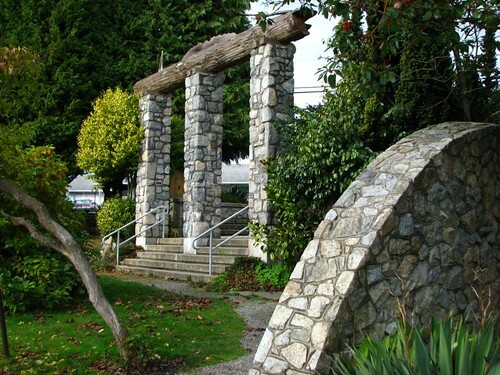 By locating the square at Ed MacGregor Park, the district of Sooke gains a further enhancement to this centrally-located, accessible, and beautiful park. Being located at one end of the waterfront boardwalk and trail system, It’s hoped that residents and visitors will choose to walk 10 minutes along the magnificent Sooke Harbour to and from town to enjoy events that will now be able to be held with the Spirit Square enhancements. Click the following link for more information on the Spirit Squares Program. Today the Supreme Court of British Columbia handed down a ruling that declared that the City of Victoria’s bylaw against homeless tent cities in city parks was unconstitutional because it violates their Charter rights. This precedent setting ruling has some very interesting consequences for cities across the country, and it should be very interesting to see how it plays out in the months to come. Mayor Alan Lowe goes on record as saying that the city “Is not in the business of providing housing,” and I would have to agree with him when he points out that the senior levels of government (Provincial and Federal) should be responsible for housing the homeless. We need solutions to the homeless problem, and unfortunately, tent cities in city parks are not a viable option. What do you think? Your comments below, please, anonymous/fake e-mail address is always OK on this blog. The Government of British Columbia announced today that it was increasing the threshold for the Home Owner Grant program from $950,000 to $1,050,000, in accordance with its goal to ensure that 95% of homeowners in British Columbia qualify for the basic grant. British Columbia’s 2008 assessment roll, released January 1st, has increased approximately 16% over the previous year. The Home Owner Grant helps owners who live in their homes offset the municipal taxes paid each July. The current basic grant is $570, and additional grants are available for seniors and the disabled.